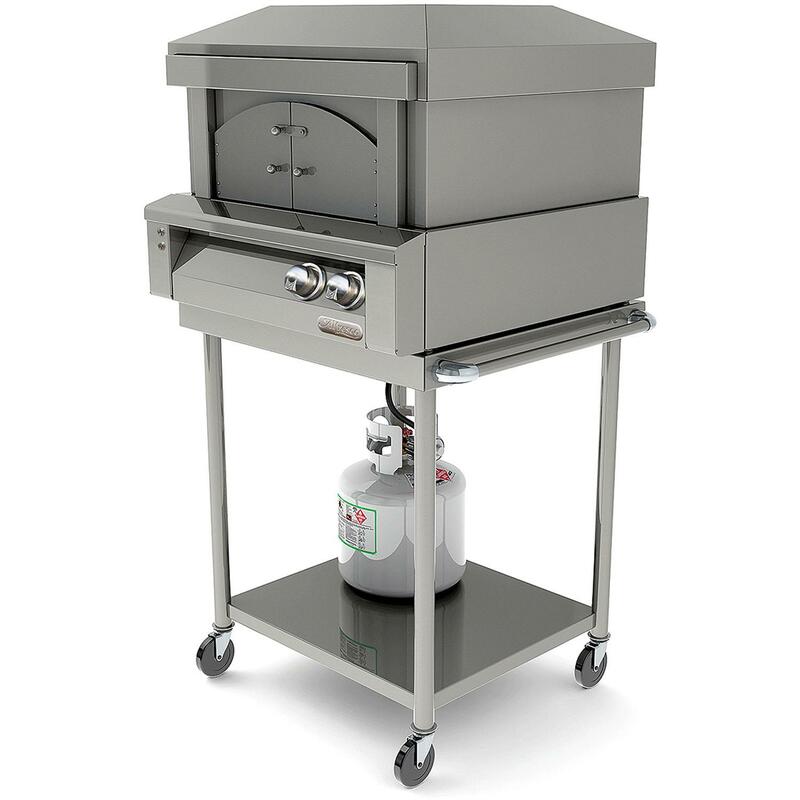 This Alfresco 30-Inch Pizza Oven Cart makes your countertop pizza oven portable while providing a convenient place to store your gas tank. This cart is perfect if you have no counter space available. Cart features stainless steel construction, four wheels and a handle for easy mobility.